Electro-sax, future funk DJ GRiZ will be performing at the St. Augustine Amphitheatre on May 3, 2019. Sax man * Producer * DJ * Musician…GRiZ is all of the above, and then some. A champion of the live electronic landscape, GRiZ’s live shows – which mix improvised saxophone, guitar, and vocals – have become massive draws around the world. To his friends and family, he goes by Grant Kwiecinski, the 28-year-old kid from north Detroit who grew up on a healthy diet of American funk, golden-age hip-hop, and dance music. 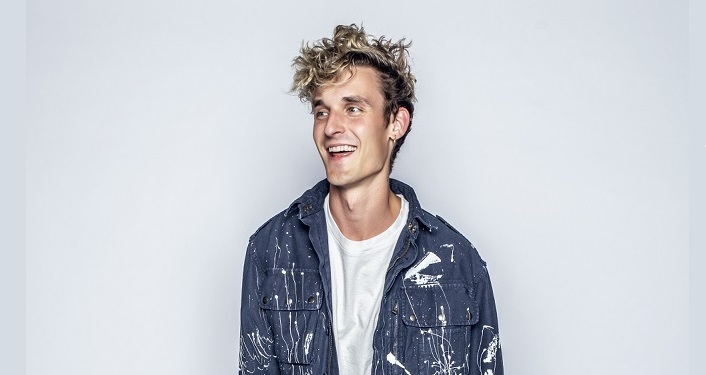 To the rest of the world, GRiZ is the Denver-based, multifaceted artist who’s funkin’ up dance floors worldwide with his self-described “future funk” sound, which mixes electronic music with his fiery live saxophone, energetic funk, and sweeping electro-soul.